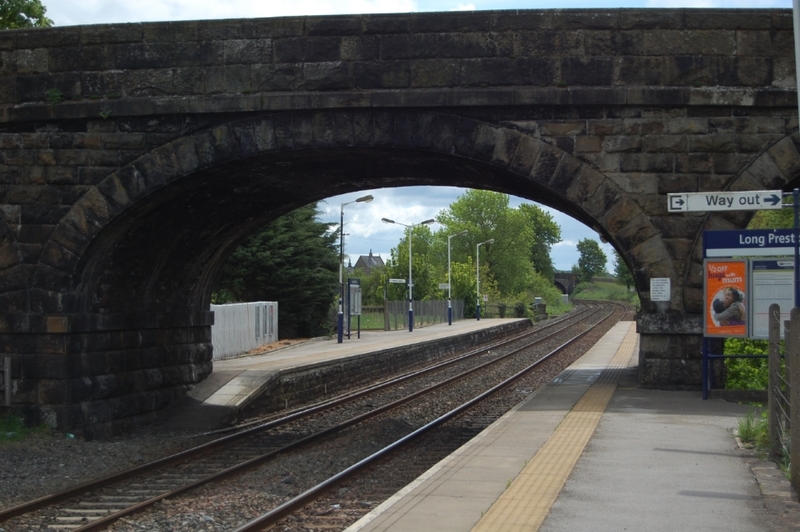 Long Preston railway station serves the village of Long Preston in North Yorkshire. The station is almost exactly half way between Leeds and Morecambe. 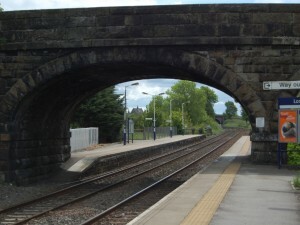 It is the last station before the Settle-Carlisle Line and the Leeds to Morecambe Line diverge at Settle Junction to the north of the village. Facilities at the station are somewhat basic – the original wooden station buildings were all demolished in the early 1970s and there are now just simple waiting shelters on each platform. It is unstaffed and passengers must buy their tickets on the train. In 1086, Long Preston was known as Prestune, meaning ‘the priest’s farmstead or town’. But human occupation of the area around Long Preston goes back to prehistoric times as remains have been found at Victoria Cave on the hills above Settle. Also a stone axe head was found in the area of Bookil Gill. Later on ‘Long’ was added, referring to its linear development and distinguishing Long Preston from the many other Prestons. 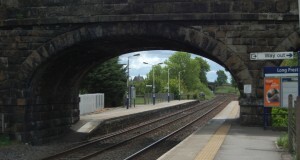 The station was opened on 30 July 1849 by the ‘little’ North Western Railway, later taken over by the Midland Railway and expanded in 1875 with the commissioning of the Settle-Carlisle Line. It declined in the 1970s and 80s but is now seeing an increase in heavy freight and passenger traffic. Between 1923 and 1935, Long Preston was the railhead for the construction of Stocks Reservoir built by the Fylde Water Board (FWB). Steam traction engines hauled material between the FWB depot, to the west of the current station, by road to Tosside where connection was made with a 3 foot gauge industrial railway system that served the dam construction project. SD 833578 – for a map visit www.streetmap.co.uk and enter the grid reference. Long Preston is also home to one of Rohan’s retail outlets – for more information click here.